Sure, everyone does it; but everyone tries to hide it a little differently. 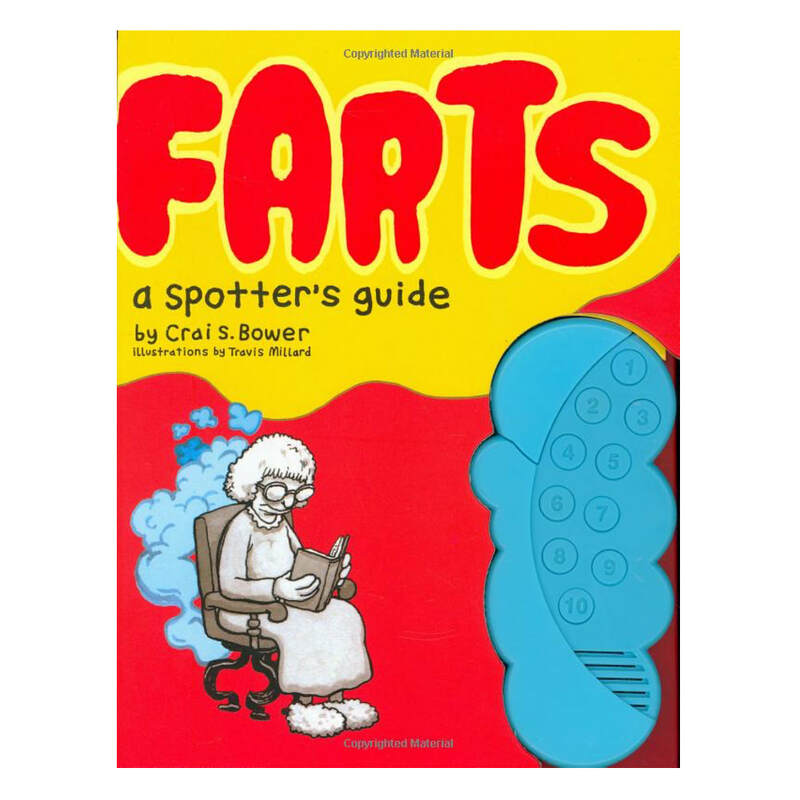 Farts: A Spotter's Guide will help you pinpoint he (or she) who dealt it every time. This hilarious book identifies the habitat, range, voice, and "field marks" of tencommon wind breakers, from the gentle hiss of the Silent-but-Deadly to the rip-roaring flatulation of the Seismic Blast. The attached battery powered fart machine reproduces each emanation in accurate sound. Grossly hip illustrations by the Fudge Factory'syes, you read that rightTravis Millard depict the offenders and offendees in brilliant detail. Printed on durable card stock, this is pure, unbridled entertainment for the giggling child in all of us. Let 'er rip!